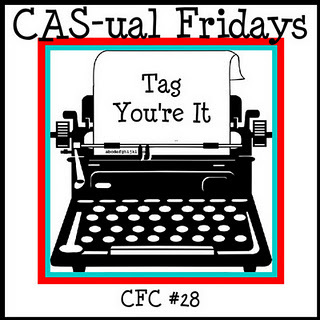 KWCardDesign : CAS-ual Friday Challenge: Tag, your it!! **This is my second post today** Scroll on down if wanted to read my first post for today. Hi all! I wanted to share with you my submission for the newest CAS-ual Friday Challenge. This week you make your project featuring a gift tag. I used a stamp set that I have only used a couple of times, which I think is super cute. It is called Button Buddies from SU! 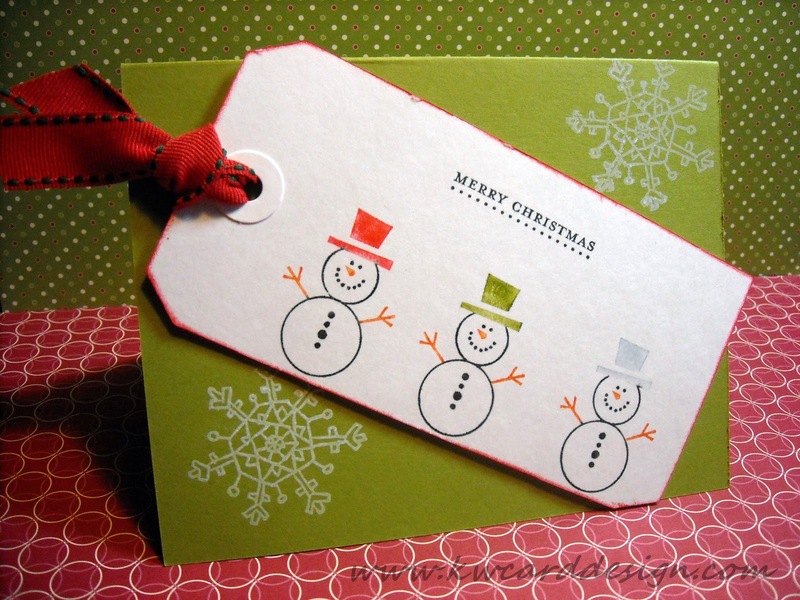 I used the snowman image on my tag, and wanted to color in the little snowman's hat in Christmas colors. My card base is SU! Lucky Limeade. I wanted my tag to pop against the green card base - so I used the new Distress Ink, Festive Berries. I love Distress Ink, and the different things you can do with it. I love snowmen!! They are so cute!! Thank you for stopping in!! Absolutely adorable! Every detail is perfect! Thanks so much for playing with us at CAS-ual Fridays! !